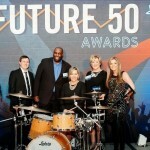 For the third consecutive year, Wanda Smith, Founder and CEO of Symphony Placements was the recipient of the Future 50 Award by SmartCEO Baltimore. In 2006 Smith left local and large human resource firms to set out on her own. The main focus was to create a flexible staffing company that followed through on the details often over looked by the regional competition. One of Symphony Placement’s motto’s is “we bring harmony to your staffing”. Wanda and her team do this time and time again by listening, offering solutions and a guarantee on services. Symphony Placements has experienced soaring growth with securing large call center clients in Maryland and now in Virginia. Currently over 350 employees are on assignments. As a women entrepreneur based in Maryland, Smith had a success minded spirit and early on was certified as a MBE, WBE and WOSB. Utilizing innovation, technology and collaboration has played a large part in the growth of the company. In 2015 Symphony Placements received recognition for private owned companies by Inc 5000 Ranked 913 Inc 5000 List of Fastest Growing Private Company’s and in the top 10 of the Fastest Growing Women Business’s by the Baltimore Business Journal in 2015. Looking for options in how you hire? Look no future than Symphony Placements! We listen, customize and delivery staffing solutions.